The hijacked Panamax tanker 'Energy Centurion' was released on Thursday about 60 miles east of Lagos, Nigeria and is now heading for a safe port. The pirates stole 3,000 tonnes of fuel oil and damaged some equipment, including the communications links. It was believed that none of the 50,000 tonne cargo was touched.The Isle of Man-flagged vessel was hijacked off the Togolese capital Lome while at anchor. An official with the manager Golden Energy Management told newswires that all 24 crew members - mainly Russian - were safe.Once on board, the pirates reportedly exchanged gunfire with a Togo naval vessel that responded to a distress call, before they disappeared off the coast of neighbouring Benin.This is the second such attack in less than two weeks in the Gulf of Guinea, off the West Coast of Africa, the IMB reported and the eighth since January.In the Gulf of Guinea, pirates target slow moving and anchored vessels and steal cargoes by means of ship-to-ship transfers, unlike off the East Coast where ransoms are demanded for the vessels, cargo and crew. Nigeria has picked the leaders of the team to head the new sovereign wealth fund. The new team will steer the country’s oil revenues into proper investments to help it grow. Finance Minister Ngozi Okonjo-Iweala said the fund would start with about $1 billion in the kitty. Nigeria’s president, Goodluck Jonathan, had signed the fund into law earlier this year amid opposition from state governors. The governors later climbed onboard but limited the initial amount to go into the fund from $7 billion down to $1 billion. The fund has three main aims: saving money for future generations, funding infrastructure, and defending the economy against commodity price shocks. “I think the sovereign wealth fund will make Nigeria more attractive for investors,” Okonjo-Iweala told reporters. She said she hoped more money would be paid in later, adding that 20% of the fund would go to each of its three targets and the board would decide how to invest the other 40%. Houston-based Morris Architects took top honors and a $10,000 grand prize for the most radical innovation in hospitality. The international design competition was co-sponsored by the John Hardy Group and Hospitality Design magazine. Projects from around the world were submitted by hospitality brands, designers, and consulting professionals. In addition to attracting the adventurer and luxury traveler, this destination resort will also draw conferences, business retreats, and can serve as a cruise ship’s main port of call en route to other locations in Mexico and the Caribbean. Miles from shore, the Rig Hotel will function autonomously through the use of alternative energy. Upon entering the “reef lobby,” guests enjoy spectacular views of the Gulf — including vantages through the lobby’s glass floor. Spaces are organized around a core of water that serves as ballast while also providing a deep-water venue for evening shows similar to Cirque du Soleil’s Las Vegas ‘O’. Interior of the Rig Resort units. Reef Lobby of the Rig Resort features spectacular views. ALBANY, N.Y. (AP) — More than 1,000 demonstrators marched to New York's state Capitol on Monday to keep up the pressure on Gov. Andrew Cuomo as he prepares to decide whether to allow shale gas drilling using high-volume hydraulic fracturing after four years of studying its health and environmental impacts. The coalition of groups rallied at Albany's Corning Preserve along the Hudson River before marching several blocks to the Capitol to deliver a pledge of resistance demanding that Cuomo ban hydraulic fracturing, or fracking. The process uses millions of gallons of chemically treated water to blast open gas-rich shale deposits deep underground. Some of the protesters carried a large cardboard likeness of Cuomo with an angel and devil on his shoulders to represent the opposing viewpoints of drilling opponents and industry supporters. Others toted tall mock-ups of windmills to symbolize their preference for renewable energy sources over fossil fuels such as natural gas. Josh Fox, director of the anti-fracking documentary "Gasland," vowed civil disobedience if New York state regulators allow shale gas drilling. "If they allow this to happen, I'm putting myself between the rig and the pad," Fox shouted to the roaring crowd. The Department of Environmental Conservation is nearing completion of an environmental impact study and new regulations for gas drilling using horizontal drilling and high-volume fracking technology. When the study is complete, Cuomo is expected to allow drilling to begin on a limited basis in communities near the Pennsylvania border. Advances in fracking technology have allowed the industry to extract enormous volumes of natural gas from rock formations such as the Marcellus Shale, which lies under southern New York, Pennsylvania, Ohio and West Virginia. Fracking has also raised concerns about the potential for drinking water contamination and other adverse impacts in densely populated regions unaccustomed to an industry that has until recently been active mostly in the West and Gulf Coast. Last week, New York City Mayor Michael Bloomberg wrote a Washington Post opinion piece in favor of natural gas development in New York state and awarded a $6 million grant from his philanthropic organization to the Environmental Defense Fund for work to minimize adverse environmental impacts from natural gas operations. "The environmentalists who oppose all fracking are wrong, and the drillers who claim that regulation will kill the industry are wrong," Bloomberg said in a prepared statement. "What we need to do is make sure that the gas is extracted carefully and in the right places, and that has to be done through strong, responsible regulation." New York City officials succeeded in getting the DEC to ban drilling in the city's watershed region in upstate New York. Opposition groups say if drilling isn't safe near New York City's water source, it isn't safe in other communities, either. On Monday, Bloomberg released a new study that finds additional natural gas supply and distribution infrastructure are needed to meet rising demand. Reacting to Monday's demonstration, Brad Gill, executive director of the Independent Oil and Gas Association of New York, said New Yorkers want "data, science and reason," not "gimmicks, stunts and street theater," to frame a balance between environmental protection and future energy production. 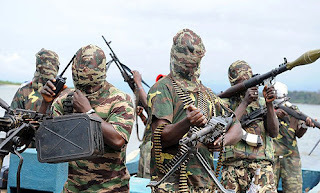 LAGOS, Nigeria (AP) — Pirates attacked an oil tanker Tuesday off the coast of Togo, taking control of its bridge and kidnapping 24 sailors before escaping amid an exchange of gunfire with a naval patrol boat, an anti-piracy organization said. It wasn't immediately clear if anyone was injured in the attack on the Greek-owned oil tanker, which had been anchored about 17 nautical miles (19 miles) away from Lome, Togo's capital. The pirates took control of the vessel quickly, though an alarm from the ship alerted the Togolese navy, said Noel Choong, an official with the International Maritime Bureau. A naval spokesman could not be immediately reached for comment Tuesday. 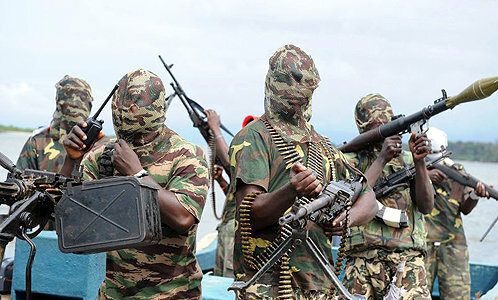 Pirates in West Africa have been more willing to use violence in their robberies, as they target the cargo, not the crew for ransom as is the case off Somalia. 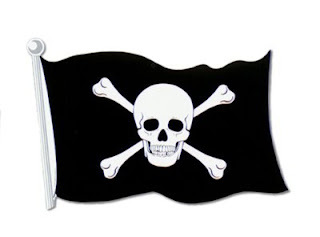 Analysts say many of the pirates come from Nigeria, where corrupt law enforcement allows criminality to thrive. "Judging the past attacks, they'll take the vessel for several days, ransack it, take the cargo and leave the sailors," Choong said. Analysts believe the recent hijackings of tanker ships likely is the work of a single, sophisticated criminal gang with knowledge of the oil industry and oil tankers. Those involved in the hijackings may have gotten that experience in Nigeria's southern Niger Delta, where thieves tapping pipelines running through swamps steal hundreds of thousands of barrels of oil a day. 28 oil workers in Nigeria that were being held hostage by one of Nigeria’s gangs have been freed. According to reports from the West African country the navy freed the hostages, who were employees of Chinese firm Sinopec. Navy spokesman Commodore Kabir Aliyu said the men were kidnapped by a gang called the Lapto Marine Force and were freed in a naval operation that took place on August 24. "The gang ... has been terrorizing people around Bakassi waterways, killing, robbing, as well as engaging in piracy and abduction," he added. Four foreigners working for the Sea Trucks Group who were kidnapped by pirates off the country’s coast on August 4 were also released recently. PARAGUANA, Venezuela (Reuters) - Venezuelan firefighters struggled on Sunday to put out a blaze at the country's biggest refinery sparked by an explosion that killed 41 people in one of the global oil industry's deadliest accidents. Officials at the 645,000 barrel-per-day Amuay refinery are trying to stop the fire still raging at two storage tanks from spreading to other nearby fuel storage facilities. That would delay Amuay's restart beyond the current estimate of two days. But the incident is likely to have little impact on world fuel prices because the OPEC nation can use its existing stocks to supply its domestic market and maintain exports. On Sunday, the skeletal remains of a National Guard barracks destroyed in the blast sagged amid broken concrete and rubble, to a backdrop of flames and huge plumes of smoke coming from the two burning tanks. Officials said a gas leak caused the explosion and that more than 200 homes were damaged by the shockwave. Some were located just across the street from the refinery, which is on a peninsula in the Caribbean Sea in western Venezuela. Puddles of petroleum mixed with water covered roads in the area. The victims from Saturday included 18 National Guard troops and 15 civilians; six remain unidentified. On Sunday, two of the dozens of people wounded died in hospital, a National Guard general told reporters. President Hugo Chavez, who visited the scene on Sunday, said there were still several people unaccounted for, as well as at least 35 people still in hospital, so the death toll could rise. Ramon Diaz, 32, who lives in the nearby slum of Ali Primera, told Reuters the blast blew off the roof of his house. "The fence was pulled up. The windows came out and broke on top of the kids' beds. It was horrible," he said. "We are still scared. We look at those flames and we're still scared." State TV broadcast footage of flames hovering close to spherical storage units that hold liquefied natural gas. They were not among the nine storage tanks affected by Saturday's blaze. State oil company PDVSA said it will focus on extinguishing one of the two burning tanks by spraying it with foam. If they cannot put it out on Sunday, they will wait for the fire to burn out on its own - which could take two to three days. Ramirez told Reuters that PDVSA was considering seeking floating storage in the area -- using tankers to store oil and fuel offshore while the company repairs the main tanks. The incident follows a decade of repeated outages and accidents at PDVSA installations that have prompted allegations of mismanagement by Chavez's government. In extensive remarks to reporters during his visit to Amuay, Chavez refuted suggestions that negligence had caused the blast. "Lack of maintenance? Who could possibly say this? Only someone who is irresponsible," the president said. He spent nearly ten minutes chiding a reporter for repeating comments by nearby residents who had said that the smell of gas was in the air the day before the explosion. The blast ranks as one of the deadliest oil industry accidents in recent history, approaching the toll of the 1997 fire at Hindustan Petroleum's Visakhapatnam refinery in India that killed 56, and topping the 2005 BP Texas City refinery blast that killed 15 workers. Amuay had already partially shut operations at least twice this year due to a small fire and the failure of a cooling unit. The high death toll was in part due to the location of the National Guard outpost, which had not been moved when the refinery shifted the site of the storage tank area next to where troops were stationed. Ramirez acknowledged to Reuters that the facility was too close to the refinery. 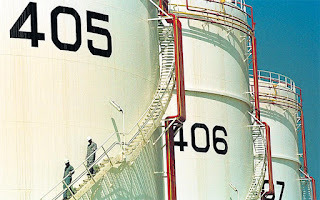 Amuay, together with a neighboring facility, forms part of the Paraguana Refining Center, the second-biggest refinery complex in the world, with an overall capacity of 955,000 bpd. Only India's Jamnagar complex is bigger, at 1.24 million bpd. Many of Venezuela's oil installations have slums next to them, and sometimes they are located in the middle of cities. In some places, families hang clothes out to dry on fences that surround small oil derricks. Venezuela has traditionally been a key supplier of fuel to the United States, but U.S. reliance on it has declined sharply over the last five years due in part to repeated unplanned outages at Venezuelan refineries. In the first five months of 2012, the United States imported just over 50,000 bpd of fuel from Venezuela, down from nearly 290,000 bpd in 2005, according to data from the U.S. Energy Information Administration. Venezuela still ranks among the top five suppliers of crude oil to the United States. NEW ORLEANS (AP) — The federal government says oil and gas operators are evacuating offshore platforms and rigs that could wind up in Tropical Storm Isaac's path through the Gulf of Mexico. Isaac is expected to become a Category 2 hurricane before making landfall late Tuesday or early Wednesday. The bureau of Safety and Environmental Enforcement says 39 production platforms and eight drilling rigs have been evacuated as of Sunday. 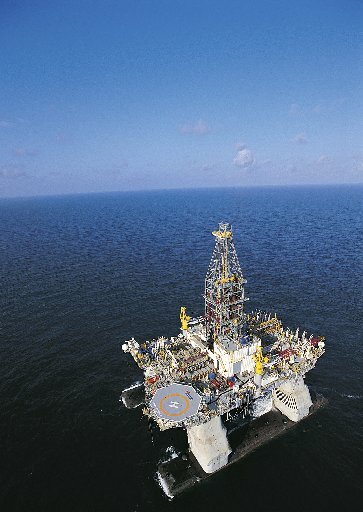 That's about 6.5 percent of the 596 manned platforms and 10.5 percent of the 76 rigs operating in the Gulf of Mexico. Evacuation procedures include closing safety valves under the ocean floor to avoid pollution in case a rig or platform is damaged. The bureau says operators estimate that about 24 percent of the current daily oil production and 8 percent of natural gas production has been cut off. 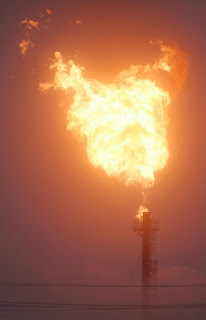 Fire rises over the Amuay refinery near Punto Fijo, Venezuela, Saturday, Aug. 25, 2012. A huge explosion rocked Venezuela's biggest oil refinery, killing at least 24 people and injuring dozens, an official said. CARACAS, Venezuela -- A huge explosion rocked Venezuela's biggest oil refinery early Saturday, killing at least 24 people and injuring more than 50 others in the deadliest disaster in memory for the country's key oil industry. Those killed included a 10-year-old boy, and at least 53 people were injured, Falcon state Gov. Stella Lugo said on state television. She said firefighters had controlled the flames at the refinery on the Paraguana Peninsula in western Venezuela, where large clouds of smoke were rising. At least 24 people were killed, many of them National Guard troops stationed at the refinery, Vice President Elias Jaua said on television after traveling to the area. He said the authorities were "trying to save the greatest number of lives." Oil Minister Rafael Ramirez said that Venezuela has enough fuel supplies to guarantee continued exports and domestic supply. As far as fuel shipments, he said, "we won't have major effects." The blast occurred after 1 a.m. when a gas leak created a cloud that ignited, Ramirez said. Some nearby houses were damaged by the blast, he said on television. "That gas generated a cloud that later exploded and has caused fires in at least two tanks of the refinery and surrounding areas," Ramirez said. "The blast wave was of a significant magnitude." Images in state media showed the flames casting an orange glow against the night sky. One photograph showed an injured man being wheeled away on a stretcher. "The areas that had to be evacuated were evacuated," Lugo said, according to the state-run Venezuelan News Agency. "The situation is controlled. Of course they're still a fire rising very high, but ... the specialists tell me there is no risk of another explosion." Ramirez said oil workers will determine what caused the gas leak and were inspecting the damage along with troops. Ramirez said that nine storage tanks were damaged. He said supplies of fuel had been cut off to part of the refinery, and that the fire had been brought under control. Troops were securing the area at the refinery, Lugo said. "At this time, the situation is controlled," Jaua said on television, while smoke continued to rise from the refinery. Jaua said earlier on his Twitter account that the military was deployed to the area and that air ambulances were dispatched to ferry the wounded. Associated Press writers Jorge Rueda and Fabiola Sanchez contributed to this report. Florida-based Crowley Maritime Corp has purchased two new Jones Act product tankers. The ‘Pennsylvania’ and ‘Florida’ were bought from Aker Philadelphia Shipyard (AKPS) and are scheduled for delivery in September 2012 and March 2013 respectively.They will mark Crowley’s re-entry into the Jones Act tanker market since the company’s last tanker was sold in 2011.The 45,800 dwt tankers will be capable of carrying nearly 330,000 barrels of a wide variety of petroleum products and chemicals. Once delivered, the vessels will operate in the US coastwise trade.“Crowley is thrilled to partner with Aker Philadelphia Shipyard and to take delivery of these new Jones Act tankers,” said Crowley’s chairman, president and CEO Tom Crowley. “We are bringing the best available technology to our customers, who understand and appreciate safety and operational excellence. This is yet another example of our ongoing investments in new equipment and technology to meet the current and future needs of our customers.”“Putting these vessels into service continues our commitment to offering a wide variety of solutions for the safe and reliable transportation of petroleum products and chemicals for our customers,” said Crowley’s Rob Grune, senior vice president and general manager, petroleum services. “As one of the largest independent operators in the US, we have a proven reputation for providing economical, reliable service while adhering to the most stringent safety and environmental protection standards. This tradition is certain to continue with the delivery of these two new tankers.”“We are pleased to partner with a first class owner and operator like Crowley. Both APSI and Crowley share deep commitments to run safe and efficient operations, and I am confident that this transaction will bring significant value to both parties for years to come,” said Kristian Rokke, AKPS president and CEO.Powered by the first Tier II large-bore engines - MAN B&W 6S50MCs - the speed of the ‘Pennsylvania’ and ‘Florida’ is expected to average around 14.5 knots. In addition to being double hulled with segregated ballast systems, safety features also include water and CO2 firefighting systems, as well as a foam water spray system. Crowley has a long history of shipping petroleum products and chemicals by tanker and articulated tug barge (ATB). Until last year, the company owned and operated Jones Act product tankers. Asia's largest buyer of jet fuel, China Aviation Oil (CAO), has scrapped plans to build an oil storage terminal in Malaysia, Reuters reports. In a partnership with Malaysian company Centralised Terminals, part of MISC and Dialog Group, CAO announced in October 2011 that it planned to construct a 380,000m3 storage tank terminal at Tanjung Langsat Port in Johor state by the end of 2013. CAO said at the time that all the available capacity would be leased and used to store middle distillates and fuel oil for a minimum of seven years. However, as the project is a greenfield site, the joint venture has now mutually decided to terminate the agreement, saying the terminal would have taken a longer time than originally thought to complete. CAO is continuing to penetrate new regions as part of its four-year expansion plan; it recently purchased storage space in both Singapore and South Korea. Thousands of drivers in northwest Indiana face hefty car repair bills after BP sold some 2.1 million gallons of contaminated gasoline that can foul their engines. BP has recalled the bad fuel and says it will pay for repairs -- but first drivers have to get it out of their tanks. 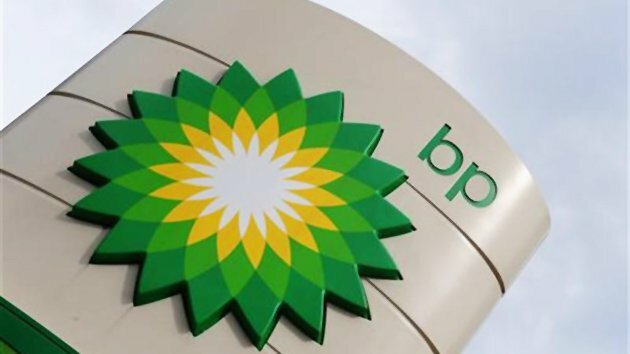 BP says "a higher than normal level of polymeric residue" contaminated 50,000 barrels of regular unleaded gasoline from its Whiting, Ind., refinery shipped between Aug. 13 and Aug. 17. That fuel went to hundreds of gas stations in northern Indiana -- some under the BP brand, but many independent stations as well. Soon after, scores of drivers began coming to repair shops reporting hard-starting and stalling engines, "check engine" lights, odd noises and other signs of engine trouble. Getting contaminated fuel out of a vehicle isn't as easy as just draining the gas tank. Every part that the gas touched between the tank and the engine has to be flushed and cleaned as well, and bad fuel has been known to ruin higher-pressure fuel injectors common to newer vehicles. Not every car will need a mechanic; people who bought only a few gallons could try to dilute their bad gas with premium unleaded and get by. A simple fix might run $200 to $300, but a few owners have already said their repair bills have topped $1,200. Gasoline recalls are rare but not without precedent; last year a Minnesota refinery had to halt sales of 11,000 gallons after it mixed more than 10 percent ethanol into the fuel. BP says people who are affected can call a customer help line with their receipts and ask to have their repair costs reimbursed -- although there's no getting back the time and hassle of going through a needless repair in the first place. As for BP's bottom line, the oil giant earned $3.7 billion last quarter, so even if every car required $1,200 worth of repairs, BP's bank account wouldn't run low. ENI and Ghana have signed an agreement that will have the Italian firm developing natural gas resources off the coast of the West African country. In a statement the company said that it, partnered with Vitol, entered into a MoU with the government and state-run GNPC to develop the Offshore Cape Three Points (OCTP) Block. 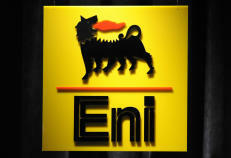 ENI said the MoU will focus mainly on the domestic gas market in Ghana where it intends to play a prominent role. The agreement with Ghana sets out the key principles for future development of the discoveries and commercialization of the gas within the contract area. The MoU is also part of the Italian firm’s plans to expand on the continent. In its Q2 results Kosmos Energy reported that it spent $37 million on exploration and production activities during the period on the Jubilee field offshore Ghana. Production expenses for Q2 came to $20 million and according to Kosmos, this included $10 million related to acid stimulation costs incurred on Jubilee Phase 1 wells. 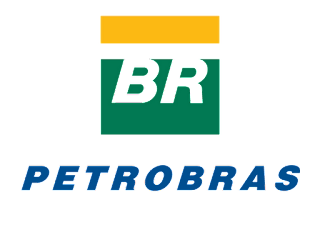 The results showed that the company's production expense was approximately $9.37 per barrel sold, down from $14.36 per barrel for the same period in 2011. The company sold one Jubilee lifting during the quarter, totaling 997,000 barrels of oil, at a realized price of $112.60 per barrel making oil revenues of $112 million, the results indicated. On exploration expense during the quarter, the company spent $17 million and it included certain "seismic, geologic and geophysical studies" as well as a portion of costs associated with the Teak-4A well. 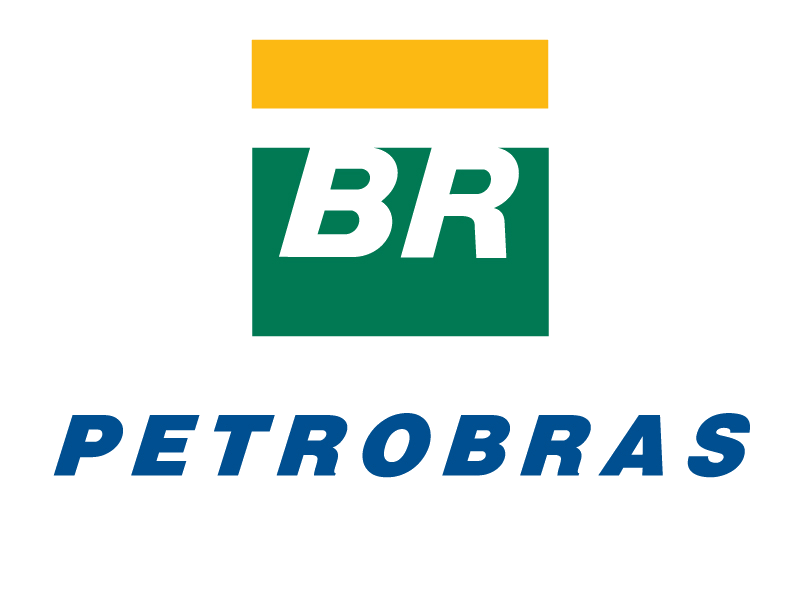 Brazilian major Petrobras has again dominated the market recently taking more large vessels on period charters. These include Chandris’ VLCC ‘Britanis’ fixed for three years at $25,500 per day, Lykiardopulo’s Aframax ‘Siena’ for two years at $15,500 per day and Genmar’s Suezmax ‘Genmar Spartiate’ for three years at $19,750 per day. The National Chemical Carriers Company (NCC) has signed a timecharter agreement for three chemical tankers – two of 45,000 dwt and one of 75,000 dwt - with International Shipping and Transportation Company, a subsidiary of Saudi Basic Industries Corporation SABIC, for a five year period years, with an option to extend for another five years.The Bahri subsidiary said that the value of these timecharter agreements is about SAR480 mill for the first five years. Remaining in the product/chemical tanker sector, Navig8 reportedly fixed three Croatian-controlled MRs for 12 months each. These were the ‘Kastav’ and ‘Istra’ for $10,600 per day each and the ‘Pomer’ for $10,950 per day. The latter included an option for a further 12 months. Clearlake was also believed to have fixed the Handysize ‘Scarlet Star’ for 12 months in direct continuation for $12,250 per day. In the S&P sector, a newbuilding Suezmax originally ordered in 2008 by Irano-Hind was thought be the subject of sales negotiations with the Shipping Corp of India. Another newbuilding, the MR ‘Gan-Trust’, was thought to have been sold to Prime Marine Management for $31.9 mill. She is due for delivery from Hyundai Mipo in January next year. Knightsbridge’s VLCC ‘Hampstead’, ex ‘Megara’, was thought committed to Chinese interests for $24.3 mill, while the Japanese-controlled VLCC ‘Tsushima’ was reported sold to unknown interests for $67 mill, which included a 12 month timecharter back to the sellers at an unknown level. Those leaving the fleet included the 1993-built VLCC ‘Sea Glory’, ex ‘Hebei Spirit’, reported as sold to Bangladesh recyclers for $435 per ldt. The 1989-built Suezmax ‘Ocean Amber’ was also believed sold to Bangladeshi interests on private terms, while the Aframax ‘Vemabaltic’, which was recently used as a storage vessel in Gibraltar, was reported as sold to Pakistani breakers for $435 per ldt. Iraq has finally overtaken Iran as the second largest oil producer in OPEC according to the International Energy Agency. Baghdad chalked up 3mb/d production compared to 2.9mb/d from Tehran. For some, that’s cause for celebration – ‘proving’ that international sanctions against Iran are ‘working’ – but it merely highlights the profound supply side problems afflicting the oil world. Bad news all round. The idea that Iraq, now the second largest producer in OPEC, could be relied upon to provide consistent (let alone) excess supplies, flies in the face of all the political problems afflicting the country. Its main output gains have come in Kurdistan, a region that the central Shia government in Iraq refutes as a self-standing oil producing region. The dictum was very clear after Saddam fell; those who do business in Kurdistan will be barred from far bigger fields in the centre and South of the country. Ballpark numbers certainly backed it up. Baghdad sits on 143bn barrels of ‘proven’ oil reserves, compared to 40bn barrels in Kurdistan. For a time, it was a message that most IOCs were happy to heed. The likes of Exxon, BP, Lukoil and Shell signed very unattractive service contract agreements (i.e. hired help), with a view to securing proper production sharing agreements with Baghdad down the line. The problem is that Baghdad has never worked out what’s good for them; decent contracts have never been put on the table to entice IOCs (or national counterparts) to see Iraq as a serious proposition. Fields haven’t been developed. New infrastructure hasn’t been built. That’s exactly why the biggest players, including Exxon, Chevron, and Total have called Baghdad’s bluff by signing bilateral deals with Kurdistan as the more credible (if modest) output option. Unless Iraq blinks first to revise contractual terms, don’t expect IOC investment anytime soon. Baghdad might take their chances with the Chinese, (if Beijing happens to still be interested). Russia might invest when asked, but they’ll make sure new fields only come online at times of their choosing for global fundamentals. Alas, far from blinking, Baghdad has kept their eyes wide shut. Although it didn’t chuck Exxon out of West Quarna plays, it barred them from their latest licensing rounds, and indeed Chevron for their ‘Erbil betrayals’. Baghdad will hit its ‘12mb/d’ production targets by 2017, with or without international help – or so the story goes. The snag isn’t just that Kurdistan provides IOCs with the perfect hedge to put pressure on Baghdad, but that Iraq hasn’t understood the unfolding contours of the new energy world. Ten years ago, the greatest risk for IOCs wasn’t operating in high risk, uncertain return markets, but not having access to prospective elephant fields in the first place. It was ‘follow the resources, or die’. The global unconventional explosion has totally re-written this analysis. If you aren’t willing to offer decent terms and decent conditions, investment won’t come. International players can pick and choose jurisdictions for the best returns. You’re as likely to find a herd of elephants in the US Mid-West these days as you are in a highly explosive Middle East, which, if anything, provides the real kicker for Iraq here: Not only is Baghdad offering poor fiscal terms on new concessions (without any serious legal structure), it’s doing so in an increasingly large security vacuum. Since the US upped-sticks, local grievances have been sharpened without a common enemy. 19% unemployment and chronically high levels of absolute poverty afflicting the population don’t help. But it’s sectarian schisms that remain the most divisive fault lines rather than rich vs. poor in Iraq. Oil sits at the heart of this debate. However you spin things, IOCs are bankrolling Kurdish succession in the North thanks to enhanced oil receipts (Turkey could obviously do without such developments), while Sunni politicians (let alone insurgency groups) have never come to terms with Shia power, embodied by the al-Maliki central government. Something will eventually have to give in Iraq on how state formation does (or doesn’t) play out, with oil providing the underlying formula for who gets what, where, and when. That’s before you ‘price in’ external meddling from neighbouring Iran, a nation that’s more than happy to stir the Shia pot to progress its economic and political interests in the region. Clipping Iraqi oil production is the perfect way of doing that. It hardly went unnoticed in Tehran that Iraq made as much cash ($22-24bn) in the last quarter. That’s not been the order of things since the 1990 Gulf War; Iran will work hard to keep it that way. Put all that together, and Iraq will struggle to nudge output towards 4mb/d over the next few years, let alone hitting 5, 6, or 7mb/d over the next decade. As for 12mb/d production targets by 2017 as a the new ‘swing producer’, forget it. Iraq has squeezed out all it can from its older fields; any further gains will be attritional, at best. The upshot is that we’re left with the same oil market equation we’ve had for decades: Saudi Arabia and Russia are simply too big to fail. No one, least of all Iraq is going to change that anytime soon when it rejoins OPEC quotas in 2014. It’s therefore all the more disturbing that the IEA are pinning their main global supply growth hopes on Iraq over the next decade. LONDON, Aug 16 (Reuters) - Gold firmed on Thursday on speculation that central banks may be set to launch more bullion-friendly stimulus measures to boost growth, though mixed U.S. data that dampened expectations for imminent Federal Reserve action kept prices in a range. The metal recovered early losses as the dollar retreated from a two-week high against a currency basket. It broke above $1,600 in late July on talk that both the Fed and the European Central Bank would take steps to stimulate their economies. 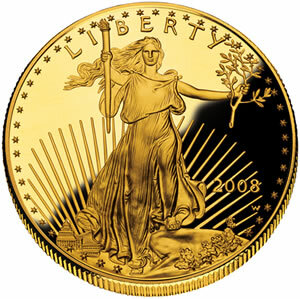 Further monetary easing would benefit gold by boosting liquidity and maintaining pressure on long-term interest rates, keeping the opportunity cost of holding bullion at rock bottom, as well as fuelling inflation fears and weighing on the dollar. Spot gold was up 0.1 percent at $1,604.20 an ounce at 1209 GMT, while U.S. gold futures for December delivery were flat at $1,606.60 an ounce. "My general view is that for the time being major central banks will let go of the mandate of price stability in favour of spurring growth figures," LGT Capital Management analyst Bayram Dincer said. "This means that the central banks in an explicit or implicit inflation targeting regime will try to anchor inflation expectations around 3.0 percent," he said. "This change would be gold price supportive." Data on Wednesday showed U.S. industrial output rose in July at its fastest pace since April, a day after strong U.S. retail sales figures that dampened expectations the Fed will launch another round of bond-buying, or quantitative easing. However, softer-than-expected inflation data reassured investors that price pressures would not prevent the Fed from launching more QE if a more negative view of growth emerges. "A downward surprise in U.S. inflation numbers is spurring hopes for more monetary stimulus, which would be positive for gold," Credit Suisse said in a report on Thursday. "Nevertheless, investment interest remains thin and technical momentum is only neutral. As a result, we think gold could recover slightly but will probably remain caught in the familiar $1,530-1,640 trading range." A closely watched report from the World Gold Council showed on Thursday that demand for physical gold from jewellers and investors fell in the second quarter to its lowest level since the first three months of 2010. Gold consumption fell 7 percent or nearly 76 tonnes to 990 tonnes as a drop in buying in major consumers India and China outweighed a record quarter for central bank purchases. Gold purchases in Asia slowed after prices rebounded to more than $1,600 an ounce on Thursday, as traders await the next drop in prices and demand remains under pressure as economic uncertainties weigh on consumer sentiment. On the supply side of the market, Canadian mining major Barrick Gold is in talks to sell all or part of its 74 percent stake in African Barrick Gold to China's largest gold producer, just two years after the underperforming Tanzanian assets were spun off. Among other precious metals, silver was up 0.1 percent at $27.83 an ounce, while spot platinum was up 0.4 percent at $1,395.99 an ounce and spot palladium was up 0.7 percent at $576.25 an ounce. South African police ordered thousands of illegally striking miners armed with machetes and sticks to lay down their weapons and leave Lonmin's Marikana platinum mine on Thursday or face an assault by security forces. Exxon Valdez Dismantled for Scrap. The notorious tanker was involved in one of the largest oil spills in U.S. history. Last month, reports Shanta barley in Nature, the Indian Supreme Court ruled that the ore carrier Oriental Nicety could be beached and dismantled for scrap in the Indian port of Alang, the world's largest scrap metal yard. The Valdez might have undergone, as do most of the world's merchant ships, a relatively anonymous existence were it not for the events of shortly after midnight on March 24, 1989. A few hours previously, the ship had steamed out of port in Valdez, Alaska, where it had loaded oil that had been transported from the North Slope via the Trans-Alaska Pipeline. As the captain, who reportedly had been drinking ashore, slept in his cabin, the Third Mate, attempting to maneuever clear of icebergs calved by the nearby Columbia Glacier, drove the ship into Bligh Reef, ripping a hole in its hull and beginning what was, until the Deepwater Horizon disaster, the largest oil spill in United States history. Officially, some 11 million gallons of crude oil spilled from the Exxon Valdez into the waters of Prince William Sounds, coating the sound's rocky coasts and inlets, taking the lives of as many as 250,000 seabirds and 2,800 sea otters, among other wildlife, and setting in motion longer-term environmental, economic, social and political consequences that continue to this day. 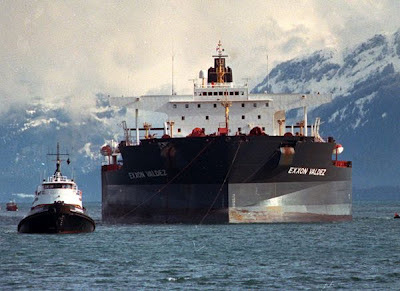 Following the spill, the federal government banned single-hulled tankers such as the Exxon Valdez from operating in US waters. 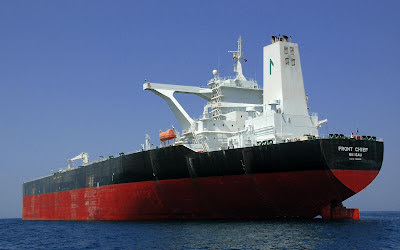 As a result, Exxon rebadged the ship the Exxon Meditteranean and dispatched it to Europe until, in 2002, the European Union also banned single-hulled tankers. In 2008, the Exxon subsidiary that now owned the vessel sold it to a Hong Kong-based shipping company, Hong Kong Bloom Shipping, which converted it to an ore carrier and renamed it Dong Fang Ocean. But controversy and collision were never to escape the former Exxon Valdez. In November 2010, the Dong Fang Ocean collided with the cargo ship Aali in the South China Sea, damaging both. In March 2012, Hong Kong Bloom Shipping sold it for scrap, until, now renamed the Oriental Nicety and under the ownership of Priya Blue Industries, it headed for Alang. But an Indian environmental group argued that the ship was in contravention of an international treaty because it contained asbestos and polychlorinated biphenyls. The Indian Supreme Court prevented the ship from being beached until it had been inspected, during which time it floated off Mumbai, its final crew awaiting a decision on the vessel's fate. On June 30, a team of six government officials came on board and stated that in their opinion the ship was clean; one month later, the Supreme Court directed "the concerned authorities to allow the ship in question to beach and to permit the ship owner to proceed with the dismantling of the ship." Even now, there would be one final problem, the ship's anchor becoming stuck in the mud just two miles offshore. Finally, on the afternoon of August 2, the former Exxon Valdez rumbled on to the recycling beach at Anang, taking up position behind two chemical tankers. The ship will never have another crew, will never set sail gain; its present resting place is its last, and soon all that will be left of it will be scraps of steel and a permanent place in infamy. Crude-oil futures were mixed in Asian trading Wednesday, with Brent crude edging upward in tandem with currency movements and the U.S. benchmark weighed by an industry group's estimate of rising U.S. crude stockpiles last week. Meanwhile U.S. Defense Secretary Leon Panetta's remarks late Tuesday to the effect that Israel hasn't decided to strike Iran and there is still time to negotiate a solution to the nuclear showdown with the Islamic Republic narrowed oil's risk premium. The euro was trading at $1.2341 at 0640 GMT compared with $1.2332 at 0625 GMT. Dollar-denominated commodities such as oil tend to rise when the greenback weakens, making them more affordable to holders of other currencies. On the New York Mercantile Exchange, light, sweet crude futures for delivery in September traded at $93.39 a barrel at 0642 GMT, down $0.04 in the Globex electronic session. September Brent crude on London's ICE Futures exchange rose $0.13 to $114.16 a barrel. A Singapore-based trader put immediate support for Nymex crude at $91 a barrel on the back of the bearish cues. The American Petroleum Institute said Tuesday that crude inventories rose by 2.784 million barrels in the week ended Aug. 10. Analysts surveyed by Dow Jones Newswires had predicted a 1.9 million-barrel drawdown. The more closely watched inventory survey from the U.S. Energy Information Administration is due at 1430 GMT. Any significant departure from API's estimate will likely prompt investors to adjust their positions accordingly. Meanwhile, macroeconomic data are providing generally bullish cues, with positive sentiment unlikely to be significantly disturbed by an array of U.S. data releases this week, Jim Ritterbusch at Ritterbusch and Associates said late Tuesday. Any favorable numbers on the heels of Tuesday's better-than-expected French and German GDP figures would bode well for petroleum demand, Mr. Ritterbusch said. Germany's gross domestic product grew by 0.3% in April-June, compared with expectations of a 0.2% growth, while France reported flat growth for a third quarter in a row. A Bank of France business survey last week forecast a 0.1% GDP contraction in the third quarter. Investors will be taking further cues from the U.S. Consumer Price Index for July and housing starts data at 1230 GMT and on Thursday, respectively, to assess the health of the world's largest economy, a Tokyo-based trader said. Nymex reformulated gasoline blendstock for September--the benchmark gasoline contract--rose 99 points to $3.0113 a gallon, while September heating oil traded at $3.0342, 4 points lower. ICE gasoil for September changed hands at $960.25 a metric ton, up $2.75 from Tuesday's settlement. Expected emotional outbursts have greeted the submission of the Petroleum Industry Bill to the National Assembly. Some oil companies which had bought into the proposed oil industry reforms two years ago are now threatening to sue the federal government over some provisions of the Bill. The oil companies are concerned that the bill will reduce their profit and make the regulatory environment tighter. The new bill seeks to provide separate regulators for the upstream, midstream and downstream sectors. It replaces the Joint Venture (JV) agreements between the Nigerian National Petroleum Corporation (NNPC) and the oil producing companies with Incorporated Joint Ventures (IJVs) which are designed as corporate entities capable of raising loans commercially and repaying them from income generated. Therefore problems associated with NNPC's inability to meet up with its cash-call obligations will be a thing of the past. One area that really riles the oil companies is the introduction of higher royalties and increased government share of the takings. A 20 per cent royalty currently applies to onshore operations and 18.5 per cent for prospects in swamp/shallow waters (1-100 metres). The rates are graduated depending on water depth. But the new PIB introduces a progressive royalty linked to production rate and oil price. The tax regime governing oil exploration has also been changed under the new law but the 10 per cent withholding tax on dividends and education tax of 2 per cent on revenue existing under the current fiscal regime is retained. An objective assessment of the new law shows that government would be raking in an average of 73 per cent to 82 per cent under PIB. The existing arrangement is more advantageous to the oil companies. However the business environment in Nigeria still compares favorably with countries of similar geological features. In the United Arab Emirates for example, government's share is about 94 per cent on the average; in Libya it is about 93 per cent. While we recommend that the National Assembly demonstrate unalloyed patriotism in considering the PIB, we urge them to also take another look at the provisions in the bill that would virtually make a Czar of the petroleum minister. Also, since the bill creates a petroleum host communities fund with 10 per cent of oil revenue accruing to the fund, what becomes of the Niger Delta Development Commission (NDDC)? The PIB also provides that if any installation is damaged in the land belonging to one of the host communities, that the host community will forfeit its share in the host community fund. Who determines if a pipeline mishap is a case of force majeure? Amazingly, there is nothing definitive in the PIB to stop gas flaring which has been going on since 1956. That is a major omission which the National Assembly must redress before passing the bill into law. The Nigerian government must be firmly on the side of its people. Nigerian independent Oando Energy Resources Inc. (OER)saw positive initial results from drilling on OML 56. The company said that the EB-4 well, spud in March, was drilled to a total depth of 12,120 ft measured depth to appraise the updip portion of the structure. During drilling eight new hydrocarbon bearing sands over an interval from 9,667 ft to 11,182 ft were encountered. Each of the eight had an individual reservoir thickness of between 21ft and 110 ft. These sands were in addition to the producing sand target previously encountered in the first well (EB-1). "We continue to successfully advance our appraisal program in the Ebendo Marginal Field," said Olapade Durotoye, CEO of OER. "Next steps include further evaluating this positive data and further delineation of the discoveries to assess their size and productive capacity, which we expect to begin in Q4 2012." The deepest of the newly appraised sands, contained in Level XXa, was perforated and tested. The well flowed over 950 bpd of 49° API oil during a well flow test on a 24/64" adjustable choke. Further well tests will be conducted over the next few days on the next sand (Level XIX). Level XIX was the primary target for the well, as it was the only identified producing sand from the single producing well in the field. These test results may not necessarily be indicative of the well's long-term performance or of ultimate recovery. The company intends to complete the EB-4 well as a dual string producer prior to commencing drilling on the EB-5 well, which is intended to appraise the shallow hydrocarbon bearing sands encountered in EB-4. OER has a 42.7 % non-operated interest in the Ebendo Marginal field. Current bunker prices suggest that next year’s Worldscale flat rates will increase by around 9-10% on long haul voyages and by 6-7% on short haul routes, a leading broking house said. Since 2009, we have seen large scale fluctuations in Worldscale flat rates. On long haul voyages, flat rates have increased over the past two years by around 20% per annum, said Gibson Research in its latest weekly report. Even bigger changes were seen in 2009 and 2010, when flat rates on long haul routes first jumped by nearly 40% in 2009, but only to fall by around 25% during the following year. These sizeable fluctuations have been driven by the extreme volatility in oil prices and hence changes in bunker prices, Gibson said. Most notable swings were seen in 2008, when international bunker prices first surged to over $700 per tonne in mid-2008, but then fell to less than $250 per tonne at the end of the year. However, since early 2009, bunker prices have been on an upward path. By September last year, prices had nearly trippled from levels seen in late 2008/early 2009 (hence the tanker industry witnessed the large scale increases in Worldscale flat rates in 2011 and 2012). The question now is what is going to happen to flat rates next year? Are we going to see a similar magnitude of changes once again? As the bunker element that goes into the flat rate formula is based on prices between October and September each year, we already have nearly 10 months of data that will go into 2013 calculations, Gibson said. Earlier this year, bunker prices increased further, jumping close to $750 per tonne in March 2012 (above the peak level seen back in mid-2008) amid oil supply concerns and geopolitical tensions, primarily on the back of the Iranian developments. On its own, this may suggest that we would see a similar rise in Worldscale flat rates next year, Gibson said. However, bunker prices fell in the second quarter to below $660 per tonne in June, as the market concerns shifted towards the increasing weakness in the global economy. More recently there has been a rebound in oil prices and cumulatively over the past 10 months bunker prices have averaged 14% higher than during the corresponding period last year. Furthermore, if we assume that bunker prices will remain around current levels in August and September, this suggests that in 2013 Worldscale flat rates will increase by around 9-10% on long haul voyages and by 6-7% on short haul routes, the broker forecast.This is a smaller increase in flat rates seen during the previous two years. Nonetheless, it is still significant and the general trend in nominal rates remains the same – upward, Gibson concluded. 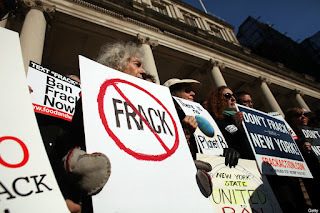 ALBANY, N.Y. (AP) — Opponents of shale gas drilling using high-volume hydraulic fracturing, or "fracking," are asking Gov. Andrew Cuomo's top campaign contributors to pressure the governor to ban the practice everywhere in New York. New York Residents Against Drilling and several other groups sent a letter Wednesday to Cuomo's top 1,000 individual donors. The letter says Cuomo's reported plan to permit fracking in a limited area would "treat Southern Tier residents as second class citizens and unfairly subject them to potentially irreparable hazards." The signers include Binghamton Mayor Matthew Ryan. They're asking the donors to tell Cuomo to ban fracking until issues including disposal of drilling wastewater and potential health impacts are fully addressed. The Department of Environmental Conservation is expected to complete a massive environmental review and new regulations within months. Buckeye Partners has completed the acquisition of Chevron's New Jersey-based marine terminal. Buckeye bought the facility, which stores liquid petroleum products, for $260 million (€212 million) in cash. Chevron will continue to be a key customer at the terminal under multi-year storage and throughput commitments. 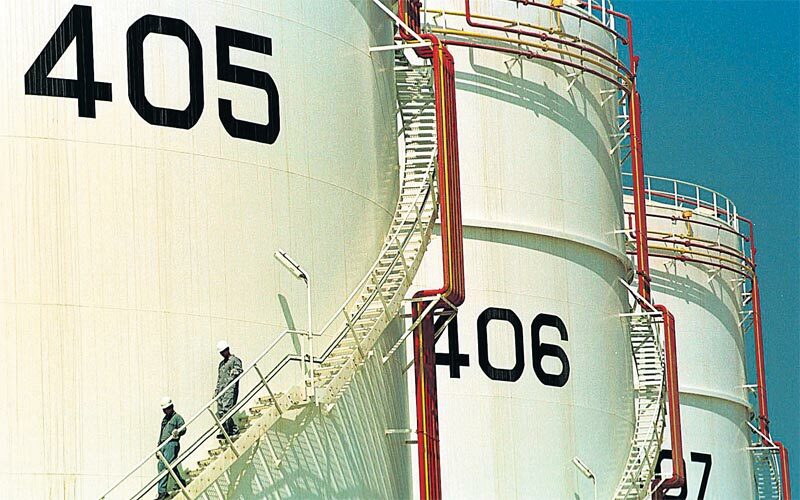 With more than 4 million barrels of storage capacity, the terminal raises Buckeye's total liquid petroleum storage capacity to over 68 million barrels (6%). However, there is room for future expansion projects at the site as it has 'significant underdeveloped land available'. The terminal, which features four docks and can be accessed via pipeline, rail or truck, is located in New York Harbor on approximately 250 acres of land. This is an advantageous acquisition for Buckeye as its Linden complex is based just six miles away. 'We expect its [the facility] integration into our network to proceed quickly... and we intend to initiate our planned commercialisation activities immediately,' says Buckeye Partners' president and CEO Clark Smith. Smith also expects the terminal will 'provide Buckeye with security and diversity of product supply by directly linking our domestic pipeline and terminal network to an owned and operated marine facility through a new 16" pipeline to be built to our Linden complex'. Build up to WW3 - US will Sanction CHINA for BUYING IRAN OIL!.